Building a startup is a search for a repeatable and scalable business model. The value proposition is key in this aspect. To find and attract customers you need to be able to use exactly the right words to trigger the customer or the investor that fits your business. It takes practice and validation to find the words that stick in just a minute or less. Your pitch will get better over time and that’s because you’re able to articulate more clearly what you’re doing. To really trigger someone, you need to be able to understand their problem better than they do themselves. In a pitch setting you’re time constrained and you only have a few seconds to grab their attention. They want to hear the rest of your story if you show them you understand them and their market so you can potentially solve their problem. Especially for technical cofounders it can be very difficult to take a customer perspective. A pitch is a perfect opportunity to find a new client, investor or fan. You want to get them to do something: buy your product, invest in you or open their network. Pitching is the perfect way to quickly find out if people are interested in supporting you. Apart from your story and proposition there is one very important element in doing so: enthusiasm. You have to resonate enthusiasm to get people to become enthusiastic as well. A good pitch is an opportunity for someone the quickly find out whether they like the value you’re offering and decide to invest more time or not. When you’re in an accelerator and meet hundreds of new people in about 3 months, you rather spend your time with the ones that add value. A good pitch will sort this out for you (or most of it anyway). It’s easy to remember the most important elements of a good pitch.Team members, mentors, investors and other ambassadors in your community will spread your story for you. Help them to do this by sharing your pitch with them and making it memorable. It will greatly enhance your chances of success. Startups and entrepreneurship are a hot topic for many online and offline media. The pitch format, whether in video or in written form is very well suited for many media formats. Having your pitch ready when talking to journalists will pay you dividends. How to craft your pitch story and slide deck is a series of blogposts on its own but I’ll give a few pointers here. 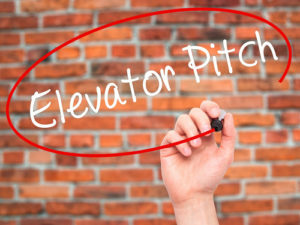 You ideally have a 1 minute, 3 minute and 8 minute version of your pitch ready. The most challenging is the 3 minute pitch as you need to go beyond the headlines and craft a story while being forced to stick to the most important aspects of the story. If I’ve missed any reasons or you have some other good resources please feel free to leave a comment.